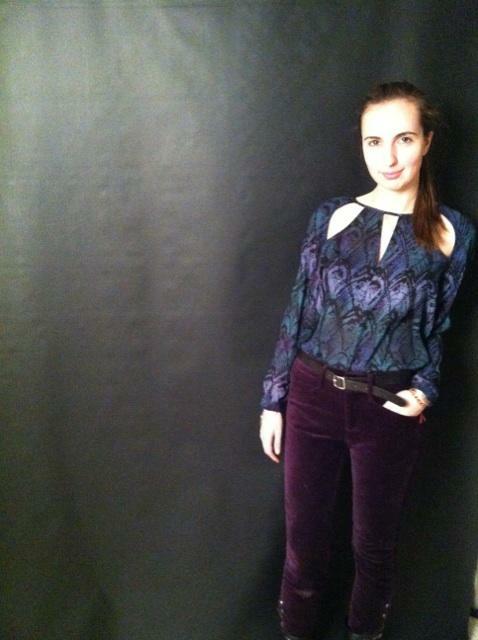 I bought these velvet pants during the store closing sale of Ralph Lauren Rugby last week for dirt cheap. I wasn’t really sure how to wear them, but thought the purple in the shirt would match pretty well. Too bad it was negative 10 degrees in school and I was forced to keep my sweater on all day. Anyhow, the pants gained a lot of attention (and lots of petting…people are always amazed by velvet), and I can’t wait to bring the shirt back out for a warmer day to be shown in all its glory!